Mamas doesn't chinch on toppings like the "other guys"!!! Grab a Mamas today! 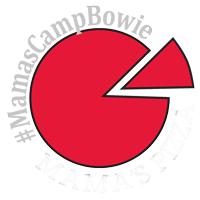 Get a Mamas Pizza Gift card Today!! Mamas @ Orange Theory Fitness!! My pizza before it was cooked! !